With 11 LNG-fueled ships on order, Carnival Corporation has the largest orderbook of green ships in the cruise industry. Later this year, the company's German brand, AIDA Cruises, will make history when the new 183,900-ton AIDAnova becomes the first cruise ship in the world to be powered by LNG while both at sea and in port. "AIDAnova is also significantly more efficient," said Arnold Donald, CEO, on the company's third quarter earnings call. 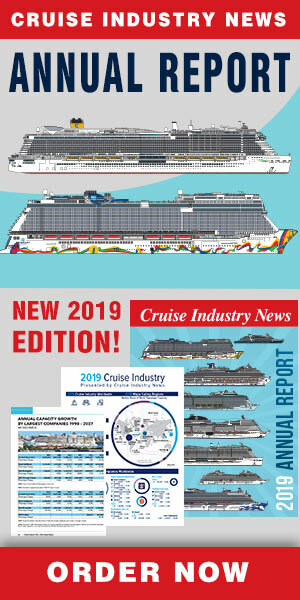 "In fact, she is over 20% more unit cost efficient and over 35% more fuel efficient than the AIDA fleet average, which bodes well for returns in the future," he said. "The AIDAnova makes history as the world's first cruise ship ever to be powered in port and at sea by [LNG], which is yet another of our many efforts to further environmental stewardship. During the quarter, we completed contracts for two more next generation ships powered by LNG both for our Princess brands to be delivered in 2023 and 2025, bringing the total number of ships on order fully powered by LNG to 11." 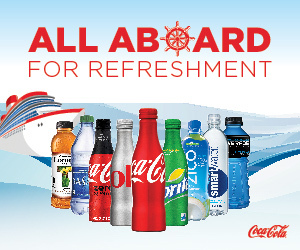 Orders for LNG ships cover the AIDA, Princess, Costa, P&O and Carnival brands.